I would like to imagine that many people out there share the same sentiment of wanting to drive up the Pacific Coast Highway with the windows down, occasionally stopping in quirky towns and piers along the coast in the Summer months. I would also like to think that there is a particular attire that goes along with said sentiment. 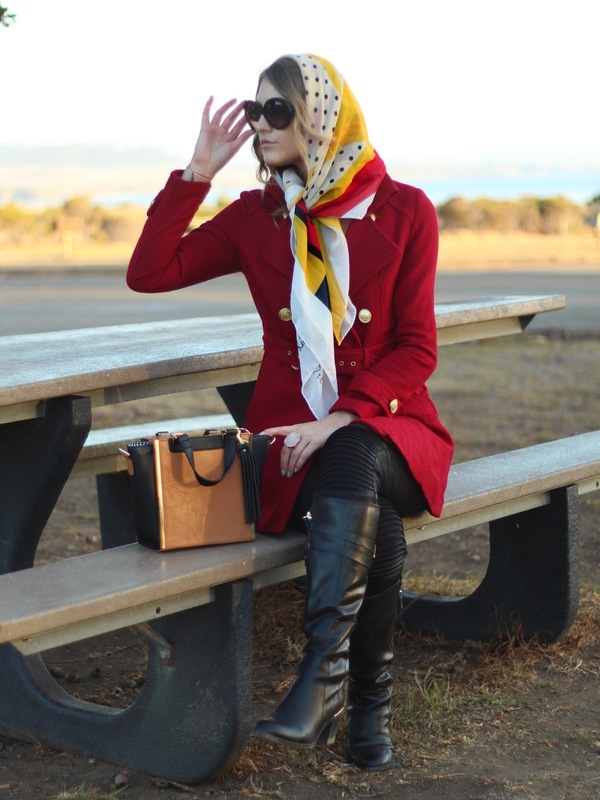 In my hypothetical coastal adventure, I would be wearing a scarf, for protecting the hair of course, over sized sunglasses, and a posh coat with driving gloves. Also, in my day dream, I am driving a vintage BMW 507 with the top down, but this time I would just have to do without.